“Winnie the Pooh” is a 2011 animated film by Disney. Unusually for an animated film these days, it’s not an all-CGI film, but done in traditional 2D style. The film’s based on several of the classic A.A. Milne “Pooh” books, and focuses on two main stories: finding a replacement tail for Eeyore, and trying to save Christopher Robin from a “backson” (after misinterpreting a note Christopher Robin left). The plot holds up to the previous classic Disney Pooh films. The film ignores the various latter-day Pooh TV shows/films (replacing Christopher Robin with a girl, etc.). It also doesn’t include Gopher (an early Disney addition to the Pooh stories). Finally, Disney remembers to give Christopher Robin a British accent. The characters are also their usual familiar selves. Kanga (voiced by Kristen Anderson-Lopez) plays more of a part in the plot than usual for Disney’s Pooh films, as does Owl, whose pompous behavior is well executed by voice artist Craig Ferguson. Pooh also as usual displays his being a “bear of very little brain,” while Tigger is still Tigger. Jim Cummings voices both characters. 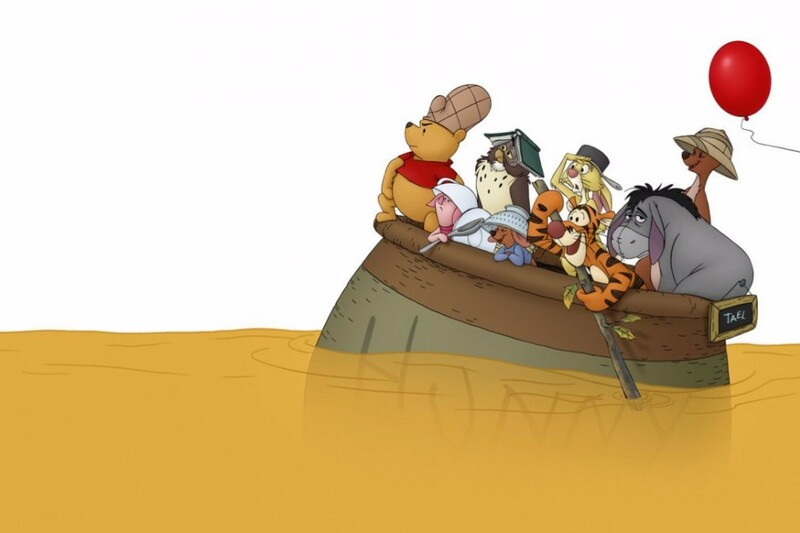 Similar to the earlier Pooh films, the narrator and “characters in a book” nature are used as part of the plot. This includes playing into the resolution of one plot point. The film did OK at the box office, especially given it was up against extremely stiff competition (the final “Harry Potter” movie). It’s currently available on DVD. Previous Post:Non-canonical Superman comic to debut; debut stories written by…Orson Scott Card? !